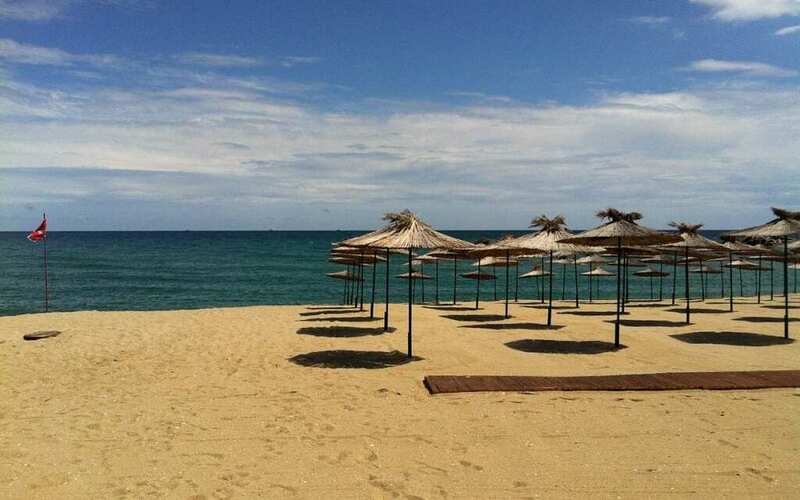 Planning your Bulgaria beach holidays? The word is starting to get out that Bulgaria beach resorts are a fantastic way to enjoy some of the loveliest beaches in Europe – without the huge crowds or high prices. There are many Black Sea beach resorts worth mentioning, but we’ve managed to narrow it down to our top 6 favorite Bulgaria holiday resorts along the coast. 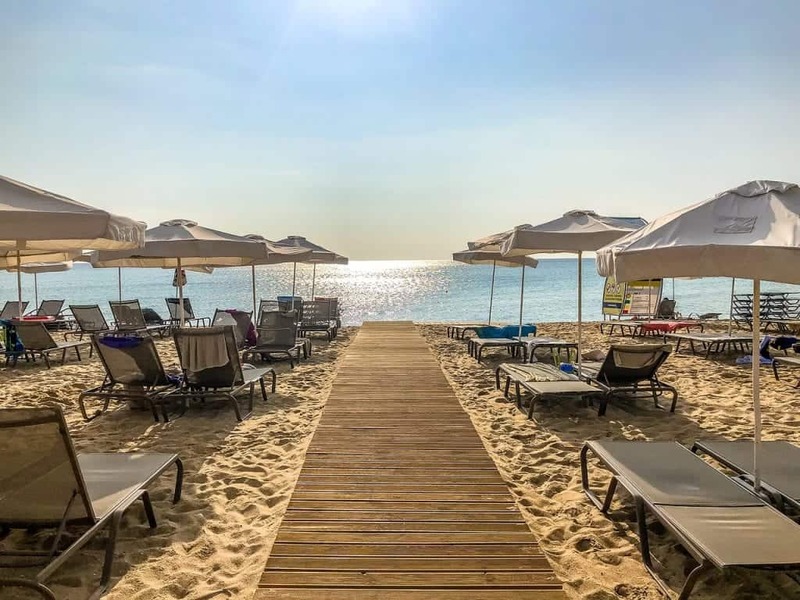 While we could easily list only Sunny Beach resorts, we’ve picked our favorite all inclusive hotel in each Bulgaria resort destination, including Golden Sands and Nessebar. Looking for a Bulgaria beach resort that the kids will love? Evrika Beach Club is something out of a kid’s wildest dreams! Their kids’ pool area has multiple waterslides, a kid-friendly wading pool, an in-water playground and plenty of sun loungers for parents to relax in while keeping an eye on their kids having the time of their life. Meanwhile, adults have plenty of water fun for themselves as well, with 4 dedicated adults-only water slides, ranging from the Tornado to the Kamikaze, where you can reach speeds up to 60 km/hour before dropping 7 meters! If that’s all a little much for you, you can enjoy the lazy river, which meanders for 140 meters through the water park. If you’d rather enjoy the famous Black Sea beaches, of course, the beach club is located right on the sand in beautiful North Sunny Beach, away from the loudest parts of town. There are a variety of room configurations – whether you are traveling as a couple, with friends, or as a family, there are over 600 rooms and plenty of options to meet your needs. There are 5 restaurants at Evrika that are part of the all-inclusive price, with options ranging from Bulgarian to Italian to Asian fusion with plenty of fresh seafood options to enjoy, and 5 bars as well. Guests particularly like the modern decorated rooms, the gorgeous sea views from many of the rooms, and the proximity to the lovely sandy beach. Whereas Evrika Beach Club is designed for families, with more kids’ entertainment and a much larger size, Rome Palace is smaller and more intimate, making it better for couples and families with older children. While there are kids’ amenities such as play areas and kids’ beds available on request, it is definitely designed with an eye for taste and luxury (yet of course, at Bulgarian prices!). With a gorgeous lobby and an impressive hotel restaurant with an assortment of deliciously prepared fresh food offerings, Rome Palace is definitely a step above other Bulgaria all inclusives in terms of quality of food, service, and aesthetics. Check out traveler ratings and reviews here! While Rome Palace has a much smaller pool area than Evrika, it more than makes up for it with its gorgeous relaxation center with a Finnish dry sauna, a steam sauna, and a plunge pool, as well as plenty of relaxers to lounge in in between. 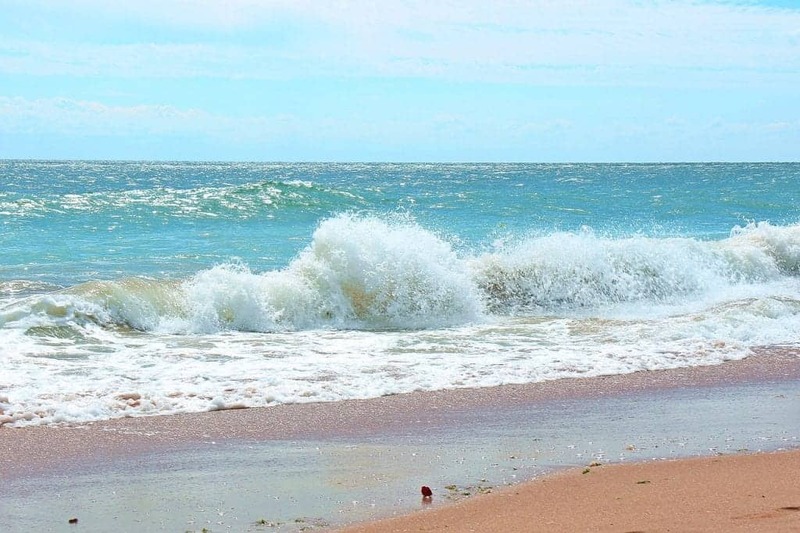 The nearest beaches are just a 5-minute walk away, so if you are craving some Black Sea water, you’re not far at all – yet you’re also located well away from the noise of downtown Sunny Beach partying, so you get the best of both worlds. Make a booking at Rome Palace Deluxe here! If you are looking for a luxury Bulgaria beach resort to enjoy with friends or your significant other and prefer the peace and quiet of an adults-only beach resort, then look no further than Grifid Metropol. Located right on the beach of one of the most beautiful stretches of the Black Sea coastline, Grifid Metropol has an exquisitely designed interior with beautiful views of the sea from all of its rooms as well as from its luxurious infinity-style pool. The beach club offers a step up from your typical beach loungers (though of course, they have those too!) with cabanas with privacy curtains where you can sip on unlimited prosecco delivered to you by the friendly staff. All rooms are furnished tastefully with free Wi-FI, flatscreen TVs, all-included minibars, and furnished sea view balconies. Pick from one of three elegantly-decorated restaurants, offering a variety of Italian, European, and Bulgarian cuisines, as well as several upscale indoor and open-air bars. In addition to the beach just steps away from the hotel, the pool area offers both infinity and natural pools with sea views and sun loungers with umbrellas, as well as a spa center, a beauty center, and a fitness center. Families won’t be left out of the luxury with the Grifid Arabella Hotel, a sister property of the above-mentioned adults-only beach resort. This resort is equally luxurious yet much larger and with amenities designed for families, such as a kids’ club and a kids’ aqua park with mini water slides, a kiddie pool, and even a nightly kids’ disco. Adults will love the larger pool with jacuzzis and loungers, the luxe wellness center with a steam bath and sauna and massage rooms, and the delicious cocktails on demand! Check out fellow travelers’ ratings and reviews here! However, the Arabella is a 6-minute walk from the nearest beach, so it doesn’t quite offer the same on-beach luxury as the Metropol, but it’s still a great option and the best choices for family resorts in Golden Sands. Additionally, the rooms and interior decor aren’t quite as modern as the Grifid Metropol, but it is still the nicest family resort in the area. There are 6 delicious restaurants, including Bulgarian, Italian, Mexican, and Asian options, as well as a variety of beer, wine, and cocktails – all to your heart’s (and liver’s!) content. Looking more like an actual water park at first glance than the 5-star resort that it is, the Sol Nessebar is an amazing choice for kids and adults alike. Thrill-seeking adults and teens will love the variety of slides and water rides on offer, whereas kids will enjoy mini versions of the same adrenaline rushes. Meanwhile, if you’re looking for a more natural experience, the beautiful sandy Aurelia Beach is only 300 meters away, and there is also a beautiful green park on premises as well. Check out traveler reviews and ratings here! Best of all, you’re not too far from the beautiful UNESCO site of the Ancient City of Nessebar, so if you want to get some culture and history in on your sunny beach holiday in Bulgaria you can easily combine the two. A taxi should cost about 10 leva (5 euros) to the Old Town of Nessebar, a walled city which includes Byzantine-era baths and fortifications, the 5th-century ruins of a church, and an 11th-century well-preserved church with hundreds of murals as well as a gorgeous Orthodox iconostasis altarpiece. Meanwhile, back at the resort, you’ll find a 3-story spa center, a fitness center, a kid and an adult aqua park, outdoor and indoor pools, tennis courts (as well as volleyball and basketball courts) and an indoor arcade area. The restaurant options are solid and varied, much more wide-ranging than other Black Sea beach resorts. 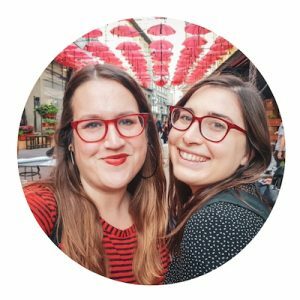 You can choose from German at a Biergarten-themed restaurant, Spanish tapas, Japanese sushi, Italian delicacies, and Mediterranean classics – not to mention the many bars serving up tailor-made cocktails with no limits! But most of all, what guests rave about is the amount of attention to detail the staff pays, particularly with respect to making sure the kids enjoy themselves during their stay. There is a program of activities from morning until night to ensure that the entire family is entertained and relaxed during their entire stay. Book a room at Sol here! While Sol Nessebar is definitely the nicest resort in Nessebar, it is rather pricy as it is a 5-star hotel. A lovely but much budget-friendlier option is MPM Hotel Arsena, which is located right on a sandy beach for everyone to enjoy. There are massage beds available right on the beach for that perfect relaxing massage to the sounds of water lapping the shore. With a big pool for all to enjoy overlooking the beach, plenty of sun loungers, and poolside food and beverage service, you’d be forgiven for never wanting to leave your lounge chair! However, there is also an inside pool with a sauna and steam room if the direct sun gets to be too much. Check fellow travelers’ ratings and reviews here! The hotel is well-equipped for kids, with a kids pool, kids club, and evening entertainment shows for all to enjoy. Meanwhile, adults can enjoy the sauna, steam room, and massage services, or take part in activities such as aerobics and aqua gymnastics, pilates, darts, and table tennis to pass the time when they’re not relaxing by the pool or beach. Guests particularly compliment the food, which is served throughout the premises at the main restaurant, a pool bar, a beach bar, and beach shack serving up delicious food and drinks throughout the day and evening. 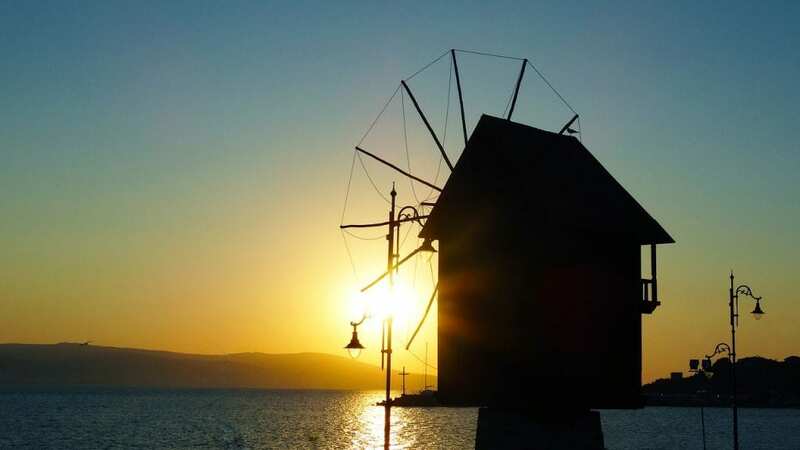 It’s located right on South Nessebar beach and is a short 15-minute walk to Nessebar Old Town, just 1 kilometer away, great if you want to combine your beach relaxation with your historical and cultural interests. Make a booking at MPM Hotel Arsena now!